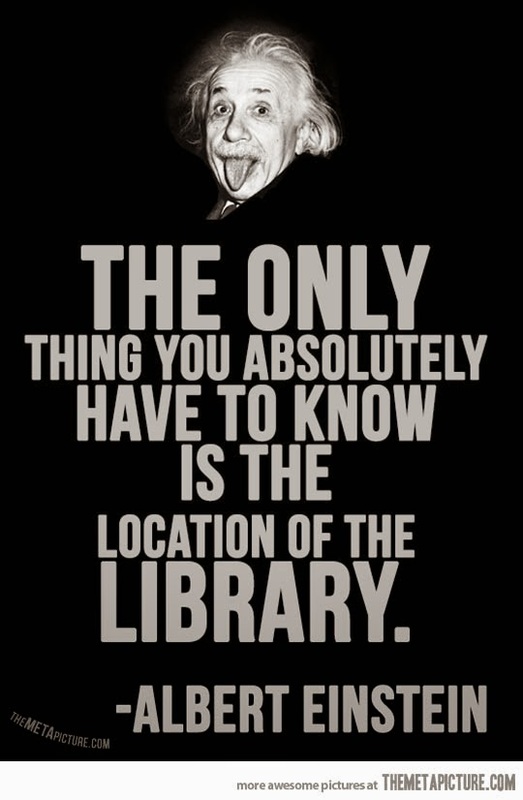 This is probably the most brilliant thing that Albert Einstein ever said. When I was a kid, I spent countless hours in the library. I would stop there after school - I usually walked home until I got to my senior year, when mom finally let me drive the car. The library was on the way (I drove there as well). I also went there on weekends and such. It's just a fact, that's what I did, I must not have had anything better to do. But I was reading Greek mythology at home way before that because we had a beautifully illustrated compendium of them lying around, and I loved reading that even though I didn't really understand it. So, my reading was probably more about me than about any opportunities around me. I developed the reputation of a bookworm, which was a Bad Thing To Be. Anyways, the local library had these competitions during the summer where whichever child read the most books got a prize. It was summer, I was going to read anyway. I never won those contests (invariably, some girl supposedly read 300+ books, well, good for her), but I always participated and must have read hundreds of books during them. But those were mostly smaller, kids books which I didn't take too seriously. I actually did read all of them and didn't just speed through them for the contest (they would ask you questions about them when you checked the books back in to make sure you had actually read them!). My own version of ethics. Even then, I spent much more time in the grown-up section (I'm not going to say adult LOL) and read books practically nobody ever has heard of, autobiographies and biographies of and by people who weren't particularly famous then or now. Do you know who Hugh Trenchard was without looking? I still do, only because of his biography that sat on those shelves and that I read around the age of twelve or so. Strangely, though, the long-forgotten books are the ones I remember the most, though I also read about Daleks and tripod aliens and all sorts of things the memories of which are lost in the mists of time. I didn't read too much famous stuff, probably because I didn't know what was famous anyway, and the hot-selling stuff wasn't in the library or at least wasn't on the general circulation shelves that I frequented - or perhaps wasn't for tender eyes such as mine. I read the entire Horatio Hornblower series by C.S. Forester. Yes, there were a LOT of those novels. I would get excited when I saw one on the shelves I hadn't seen before (such as the one where Hornblower is an older admiral and thwarts the rescue of Napoleon from St. Helena but winds up feeling guilty about it - you'd have to read it to understand why). Those who've read those Hornblower novels know how many recent works ("Star Trek," "Master and Commander" etc.) bear uncanny similarities to the Hornblower novels. They were the comic books of my childhood. I never possessed nor read actual comic books, which makes all the recent superhero movies being made in Hollywood a bit unnerving to me. My family also got Readers Digest condensed novels for a year at one point (practically nobody else will remember those) which had like four books in the form of one big hard-bound book. Spend a few hours and you could zip through four current novels that nobody has ever heard of before or since. What a deal! But you learn a lot about writing doing that, by sheer absorption. Even unknown writers can teach you about a pleasing flow of words. Of course, now libraries have changed into "information centers" and nobody has the patience to actually read novels, much less grind through long series of novels that gradually develop a character into someone that you know better than your best friend. 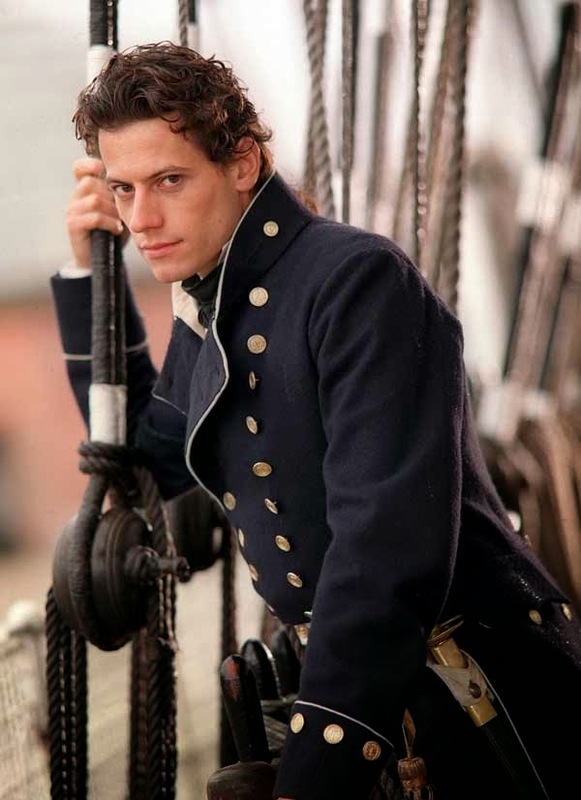 Hornblower gets old and reflects upon his past, and you feel it with him because you lived through those experiences with him in the earlier novels. 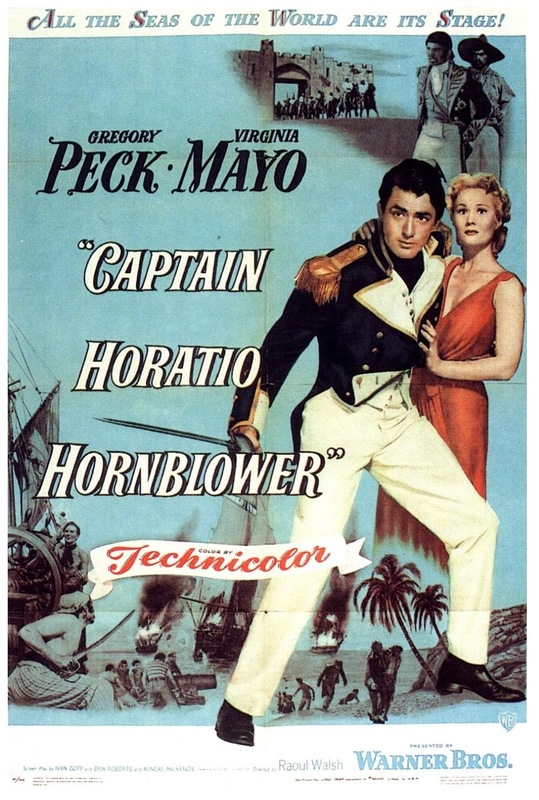 I could never sit through the Gregory Peck "Hornblower" movie because, well, it was from many years earlier and I already had my image of Hornblower in my head. Quite simply, Peck wasn't the Hornblower in my mind. How this turned into a rant on Horatio Hornblower I have yet to figure out! But, yes, I was a bookworm. I suppose I still am. Oh, well, everyone has to be something, right? Libraries are good. Just ask Albert.